Road trip! Summer’s here and over the next 8 weeks millions of travelers will hit the roadways and airways, pups in tow. Whether you’re heading to Grandma’s, the mountains, the beach or anywhere in between, you’ll want to plan ahead to make your trip easier and less stressful. But that won’t happen to you because you’re smart and organized. You’ve booked pet-friendly accommodations and planned your route. You’re also safety conscious. Your dog needs to be secure in the car. Imagine hitting the breaks and an 80 pound dog slams into your back. At 50 miles an hour, that’s equivalent of 2400 pounds of force. Ouch! We like a good seat belt harness to keep your pet secure. Not only does it keep everyone safe but some states have passed laws regarding securing your pet in the car. Some of these new rules outlaw driving with small dogs in your lap — while others require seat belts for your pooch. You’ve got to admit, it’s a good idea to prevent loose dogs. Not only can they be hurt in an accident but they’re distracting if they’re roaming around the car. A lighted LED collar and leash will keep you both visible so you’ll be seen on night-time – or early morning walks. Visibility is a key to safety. 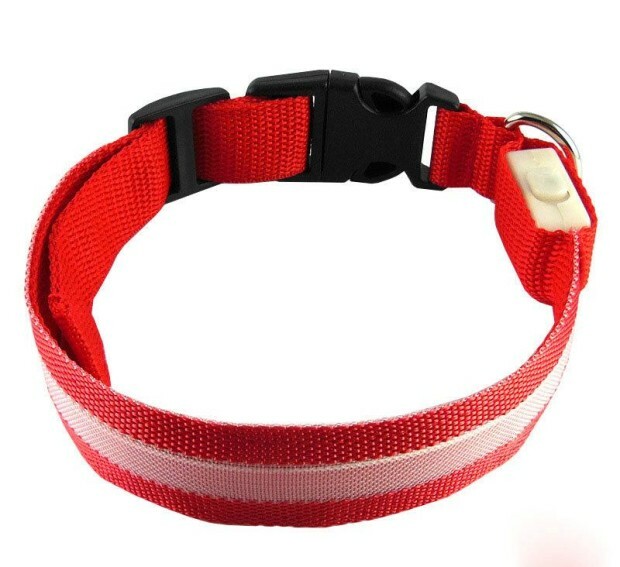 A lighted dog collar makes summertime play safer. It’s also good planning to pack a small first aid kit. Make sure you have some bandages and first aid cream. 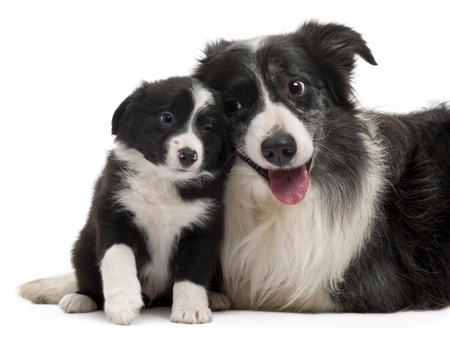 Bring copies of your pet’s medical records and the numbers to your vet and an emergency vet. Everyone will want to know that your pet is up-to-date on her shots and be aware of any health concerns. Speaking of first-aid, we’re big fans of paw protection. Hot sand and asphalt can burn your pet’s paws. Hikes in the woods can lead to cuts when she steps on a sharp rock or tangles with a stick. Prevention is always the best medicine. Pack a portable water dish for the car. You don’t want to be rooting around in the trunk looking for something to serve as a makeshift dog bowl. Bring bottled water for traveling and plan your route to include rest stops. Depending on the age and energy level of your dog(s), you might plan extra time at those rest stops for energy burning – or, even see if there’s a nearby dog park you can use. Everyone knows a good puppy is a tired puppy. Plan ahead for a fun trip with your dog. Where will you go this summer?